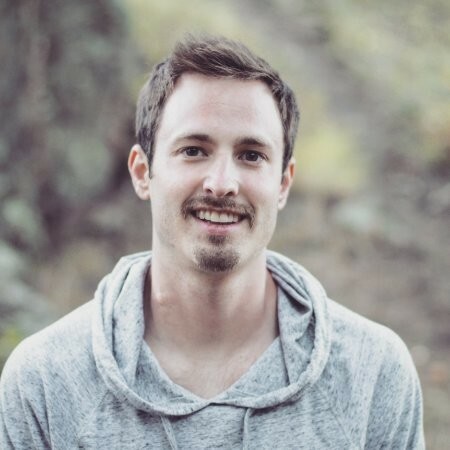 Jack Haldrup - Founder and CEO at Dr. Squatch Soap Co.
Jack is the founder and CEO of Dr. Squatch Soap Company, an omni channel e-commerce brand that sells high-quality handmade products for men who live a demanding lifestyle. Dr. Squatch has been featured in Urban Outfitters, Birchbox, Men's Journal, The Bespoke Post, Grooming Lounge, and more. Prior to this role, Jack worked as a Senior Project Manager at Rockbeam Solutions. I have a background in consulting and tech. I read the ‘4-Hour Work Week’ and became obsessed with this idea of taking more control over my life and starting a business. That coincided with me going down this rabbit hole of learning more about nutrition and personal care products. All this came together about six years ago and I decided to start a soap company. A major advantage that I had was that I was creating a product that I wanted to buy myself. I also didn’t really identify with any of the brandings that were out there with other soap companies. From that aspect, I didn't have to guess what my customers wanted. I just had to build something that I wanted. Maybe this won’t be a great answer but the process was iterated over time. It was about creating content and seeing how people respond to it. And you want to have a gut feeling of where you're going to head. When we first started, we were super focused on natural aspects. Over time, we learned more about our customers and we got more feedback from them about what they actually liked. This helped us change our messaging. We did some surveys on our website. We have an account page that people can visit and we ask them questions there. This is a specific process formulated by Sean Ellis, a growth marketer. We can call it a product-fit survey. The first question you ask people is how disappointed they would be if they could no longer use the product. One thing that was really helpful for us was pulling that data from our e-commerce platform and mapping it into Experian data, which is like credit card based data. That allowed us to see some interesting things. One was that that like 60% of our customers were married. Another big one was that we were able to map their locations. Dollar Shave Club sets the standard for our industry. Dollar Beard Club also has some great content. Chubbies is a great one in the apparel industry. We typically choose one major goal for the year. Our biggest goal is new customer acquisition. The number of new customers is the biggest KPI that we track. We started with our website and we were super focused on Google AdWords and SEO. Later on, we moved to Facebook and that really made a difference for us. It helped us triple the size of the business. We were trying to figure out how do we stop somebody and grab their attention while they scrolling through their phone. Even with video, you have to be very visual because people may not have their sound on. We were creating videos that were very storytelling based. However, we weren’t getting the results that we needed on social media. We realized we need to have constant movement in the video, whether that's different cuts with the camera or putting text on. We are trying to get more involved with influencer marketing. The next stepping stone for us would be doing some bigger partnerships with people that are well-known. I'm looking to partner directly with influencers and run paid media under their names. When it comes to Amazon, we are not focused on scaling this channel. The reason for that is that there's not a lot of customer lifetime value there. This year, one of the biggest things is focusing on internal team and process. We are trying to come up with a consistent growth framework that we can use. Focus on the issues that you experience in your life and how you can create solutions to solve that.